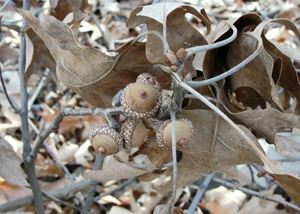 Q.pagoda acorn cluster (Pagoda Oak or Cherrybark Oak). 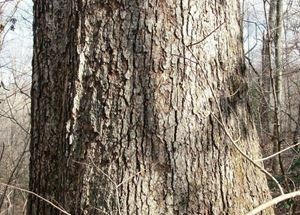 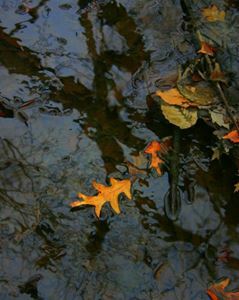 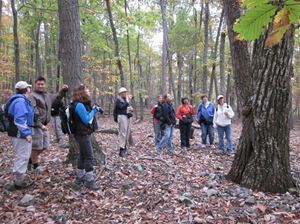 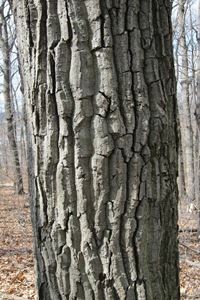 Photo by Bob Yacovissi, 12/28/2011, Chapman Forest, Charles County, MD, during MNPS Field Trip - Winter Solstice Walk. 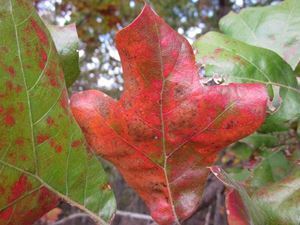 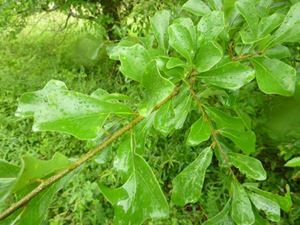 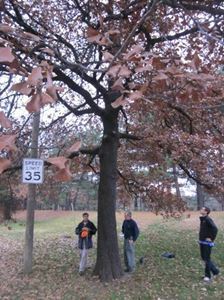 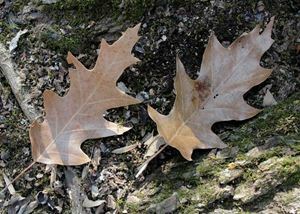 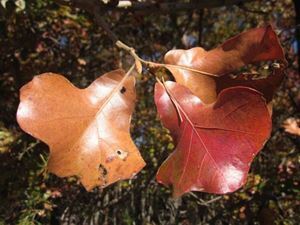 Quercus palustris, Pin Oak, showing its typical oval shape, with lower branches down-turning.